It's New Year's Eve and many of us are contemplating whether or not it makes sense to make a few "New Year's resolutions". I realize for many these resolutions are a bad idea. Broken promises, bad diets and lost workout plans are often the result. But I have got one that I think you can (and should) do! Tomorrow I start another Thirty Paintings in 30 Days Painting Challenge. As of this minute, there are 885 artists participating in the challenge with me. And they are from 23 countries! This is the fifth Thirty Painting in Thirty Days Challenge I have hosted. This challenge is a great way to start the new year on January1, 2015. Our goal is to paint 30 paintings in 30 days. It's more about painting and having fun than anything else but we all hope to complete 30 new paintings during the month. It's completely fine if you miss a few days. Nobody will know but you. In fact nobody will care but you! Life gets in the way sometimes and if that happens, don't sweat it. The only "rule" is to have fun. That's it! So why should you join this challenge? The challenge is not about finishing 30 gallery quality "perfect" paintings. It's about getting in to the studio to try new things. It's about painting more often. It's about having fun and developing new habits. This challenge has changed the lives of many artists and I hope you you will experience the same. It's important to remember you are not doing this challenge alone. So far we have over 880 artists (in 23 countries) commit to painting every day in January. So let's share and support each other. The website for the Thirty Paintings in 30 Days Challenge is here. You can register for the challenge on this site and you will be added to the map posted at the top of my blog. You can also post a photo (with a link) of your painting on my blog everyday. The visibility is fantastic and for many artists the sales were great too! I am trying something completely new. I will be painting abstracts. Thirty of them to be exact. I am so excited and so far I love it! Think about it. This might be a New Year's resolution you will want to keep. Merry Christmas! 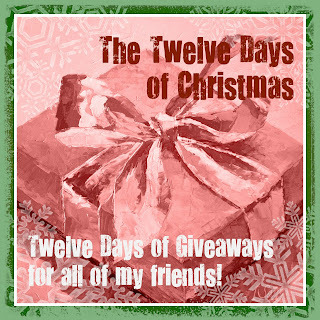 My Twelve Days of Christmas giveaway has come to a close and I want to thank each of you who joined me in celebrating the holidays these past 12 days. Yesterday we had over a hundred suggestions (104 to be exact!) 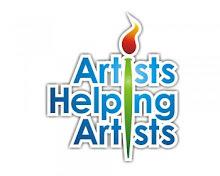 as to ways we can all give back and help our fellow artists in the coming year. As we enjoy the holiday season take a moment to read all of these wonderful suggestions. There are so many great ideas. Don't forget I am hosting the 30 Paintings in 30 Days Challenge in January! If you would like to participate in the 30 Paintings in 30 Days Challenge you can sign up here. Be ready to post your first painting on January 1st right here on my blog. Please be sure to sign up to receive my Daily blog posts as well so you don't miss anything! So far we have 573 artists signed up for the Challenge. The winner of the final giveaway (which is the painting pictured above) is Susie Gregory! Congratulations! Email me so we can finalize all of the details and I can get figure out how to get the painting to you. 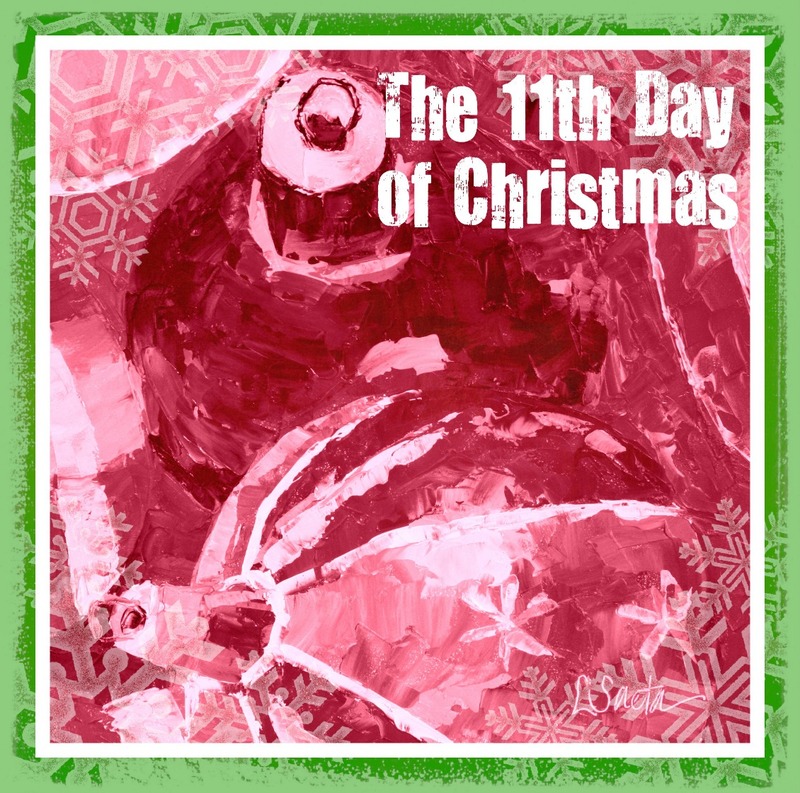 Finally, for those of you that participated in the Twelve Days of Christmas, there was a reason behind every "request" you had to do to participate. I tried really hard to get all of your artwork shown and publicized on my blog. I also hope that the comments you made on my blog were a great catalyst for getting ready for 2015. For those of you that went back and found a favorite painting or blog post, make a mental note of what you liked! Try to incorporate everything you saw and liked in to your own artwork. Most importantly, take one of the suggestions as to how you can help your fellow artists and make a point to incorporate it in to your plans for 2015. We all need to give back and help our fellow artists. Happy holidays. Merry Christmas. And thanks for making my life so complete! Follow this link to Amazon to do your post-holiday shopping. 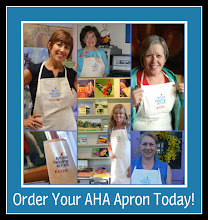 Just by clicking on the link you will help support the AHA show! I can't tell you how much I enjoyed all of your suggestions about favorite art books! There were a few that were mentioned over and over and I have already ordered them on Amazon. Don't forget to use the AHA link when you shop on Amazon. It helps the show earn a little bit and I really appreciate it! 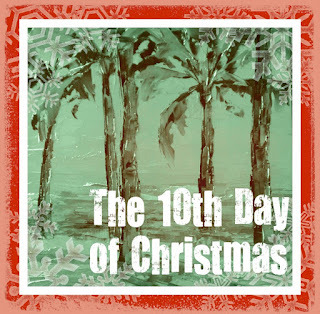 The winner of the 11th Day Giveaway is Karen F Rose. Karen is the winner of one of my cookbooks. There aren't many copies out there so I hope you will enjoy it! Send me your address and I will mail it to you. For the first time in two years I have cookbooks in stock, so yours is ready to ship!. I am looking for suggestions as to how we can all help our fellow artists. So to be eligible for the final giveaway leave your suggestions here. What do you think is a great way to help a fellow artist? Share your ideas on my blog or on any of my facebook pages. And you are welcome to make as many suggestions as you want if you would like to increase your chances to win. The winner will be announced on Christmas Day. 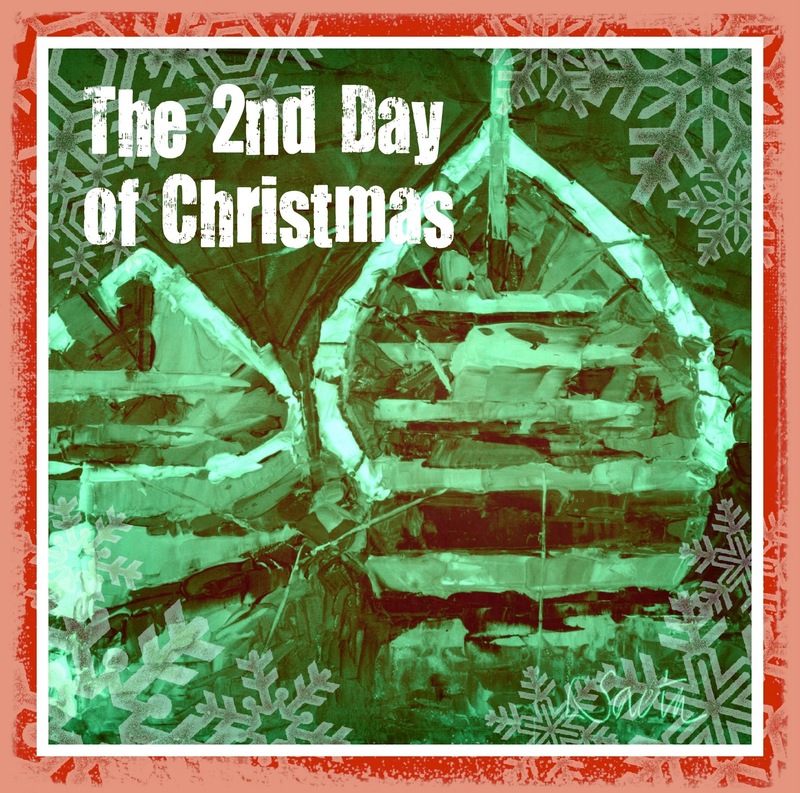 Wow, only one day until my Twelve Days of Christmas Giveaway is over! I can't believe it. Some of you may have heard that I am doing another "30 Paintings in 30 Days" challenge. It starts on January 1st and all of you are invited to join me! We are going to paint 30 paintings in 30 days and you can post your painting on my blog if you choose to participate. It will be fun and it is a fantastic way to start of the new year. I think it's a great chance to try some new things and also get in the habit of painting more often. Think about it. Give it a try. What's the worst thing that can happen? Perhaps you paint 15 paintings and after 15 days you can't continue. At least you will have painted 15! 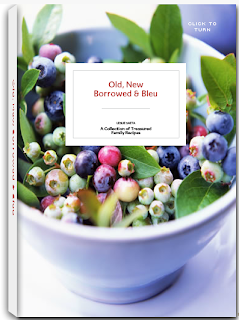 Today's giveaway is your own personal copy of my cookbook! It's titled "Old, New, Borrowed and blue" and it has every single one of my favorite recipes. Every item that I serve at our Christmas party is in the cookbook and I promise, you will love it. I even have the cookbook in my studio waiting to ship! To qualify for the Eleventh Day Giveaway all you need to do is share your favorite art book. Share them here or on my Facebook pages. I can't wait to read your submissions! The winner of the Day Ten free workshop giveaway is Angeline-Marie Martinez. Congrats! Be sure to email me so we can get you all signed up for one of my South Pasadena workshops. 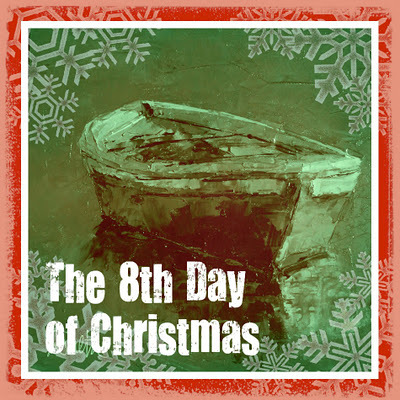 The winner of Day 9 of the 12 Days of Christmas Giveaway is Mary Ann Hagen. Congrats Mary, you have won a $150 gift certificate. Just email me and we will make arrangements to to figure out how you would like to spend it! 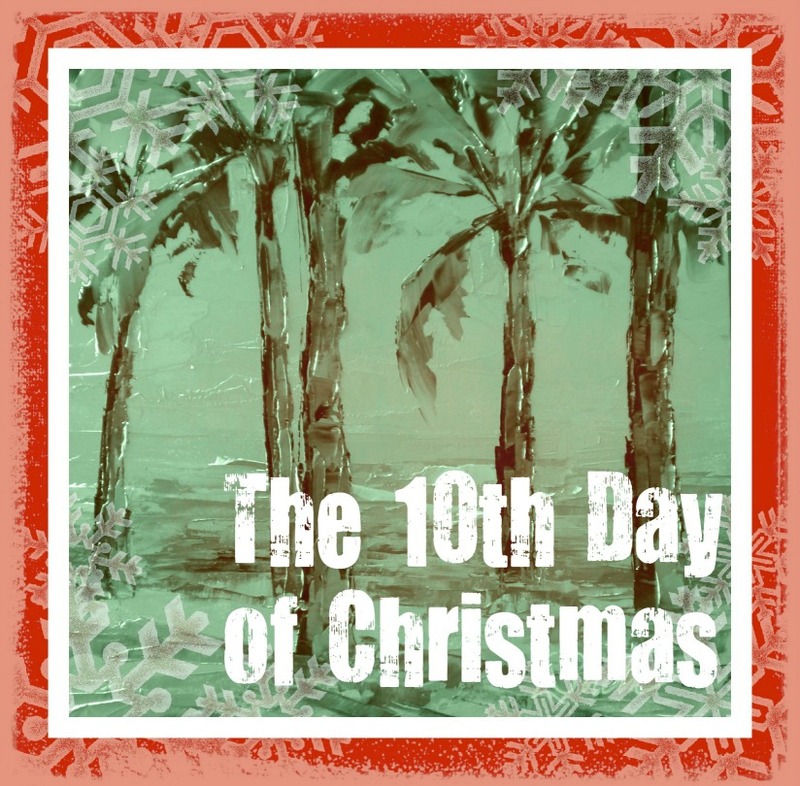 The Day 10 giveaway is one of my painting workshops at the Carriage House in South Pasadena. It's a $399 value and can be used to attend one of my three day workshops which includes a gourmet dinner cooked by yours truly. Wow. If you ever needed any tips to organize you life, office or studio then you might want to head on over and read all of the posts on my blog from yesterday's giveaway. There are so many great ideas! And to think I thought I was organized. Apparently I am not even close. I can't tell you how much I appreciate sharing all of these great tips! Thank you. 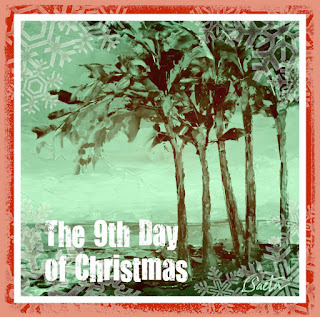 The winner of the 12 Days of Christmas Day Eight Giveaway is Jill Rae Martin-Golden. Congrats Jill! Email me and we will set up your free consultation. I have been cooking for weeks for our annual holiday party which is tonight. I have made enough food for over 300 people. My menu is ridiculous ... twenty-four appetizers (including smoked turkey, shrimp, smoked salmon, chicken, steak and ahi) and six desserts. I posted on Facebook the excel document that breaks down the preparation of every food item into steps. It is color coded reminding me what has to be cooked that day. The grid is set up for the 14 days prior to the party. And believe it or not, I am on schedule!!!! Follow this link to Amazon to do your holiday shopping. Just by clicking on the link you will help support the AHA show!Check out my 2015 workshop schedule! I am coming to Cape Cod, Atlanta, Charlotte and Richmond in 2015! Plus you can paint and stay with me in Ventura, CA at the beach house! Click here for more information! If you haven't figured it out by now, there is a method to my madness in asking you to do certain things to be eligible for my 12 Days of Christmas giveaway. Most of them are to prepare you to get ready for 2105. By having to go back and decide on your favorite painting for this past year, I am hoping the process will lead to some good things for 2015. The same goes for having you choose your greatest success, biggest marketing challenge and suggest a topic for the AHA show. I am hoping the process you had to go through to identify these things will help you with your goals for next year. 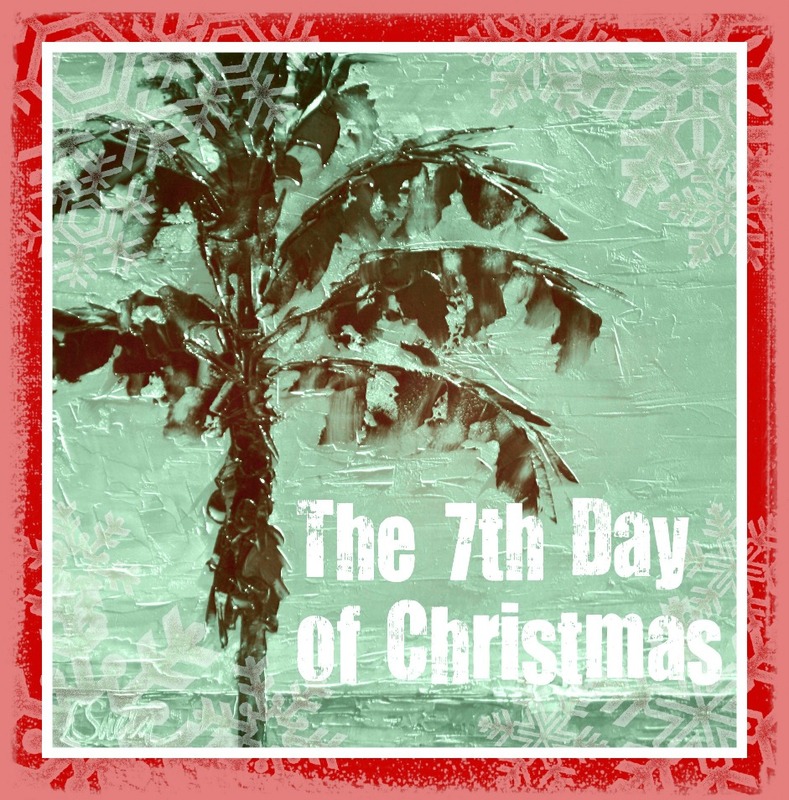 The winner for the 12 Days of Christmas Day Seven giveaway is Eileen Wuenstel Taylor. Congrats on winning a set of 20 notecards. Email me with your address so I can send them off to you later this week. I hope you all read the great APPs that were mentioned on my blog yesterday. I can't wait to try some of them out. If you really want to start out the year right, you might want to consider signing up for the Thirty Paintings in Thirty Days Challenge which is scheduled again for January 2015! It's a great way to start out the new year! Yesterday's blog post was all about selling your art. I asked all of you to identify the biggest marketing challenge you face as an artist. The response was amazing as there were 101 comments! Many of you want help marketing on social media, getting in to galleries, pricing, building a better website, duilding a mailing list and just balancing marketing and painting at the same time. I posted this question on yesterday's giveaway post because I wanted to get an even better understanding of what artists need to help make them more successful. That's why I have committed to finishing my marketing book in 2015. 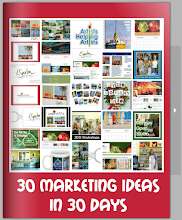 I am very excited to create a step-by-step marketing guide to help artists answer all of their marketing needs. All of your comments from today will have a big impact on the content of the book! So thank you for sharing and I am going to do everything I can to help all of you! Now ... 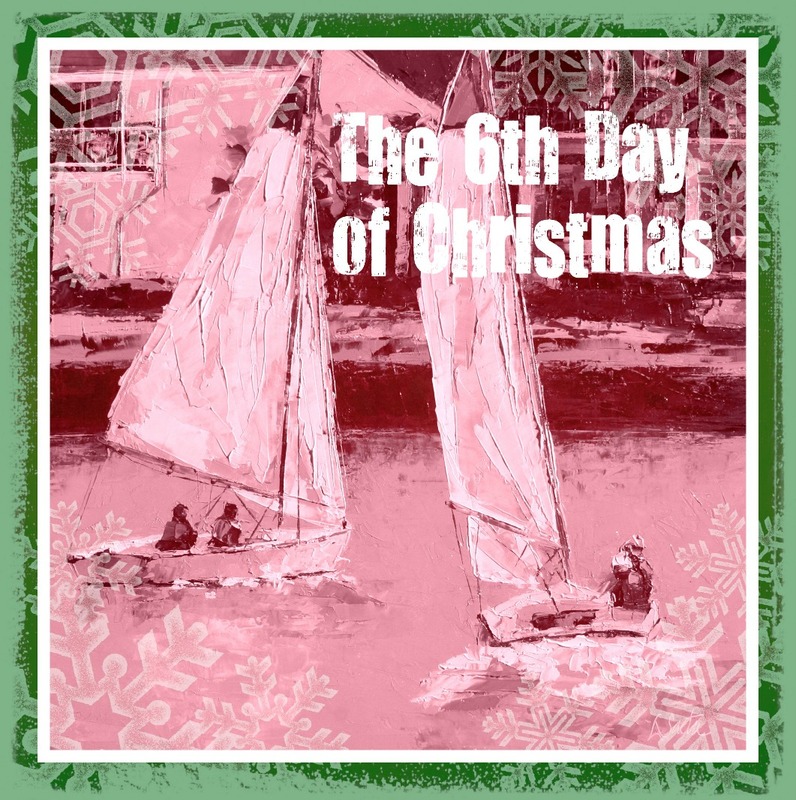 The winner of the Day Six Giveaway is Carol Pighin. Carol has won an entire year of my online palette knife painting classes. Please email me Carol and I will get you all signed up for the classes. Congrats! Today's giveaway is a set of 20 of my notecards (valued at $60). To be eligible for the giveaway, all you have to do is tell us about your favorite App! I love sharing information with students in my workshops and apps are a great resource. My two favorite apps are Pinterest and Waze. Pinterest was a very helpful tool for our beach house remodel this past year. And Waze is the best app for navigation and traffic. It's free and everyone should use it! 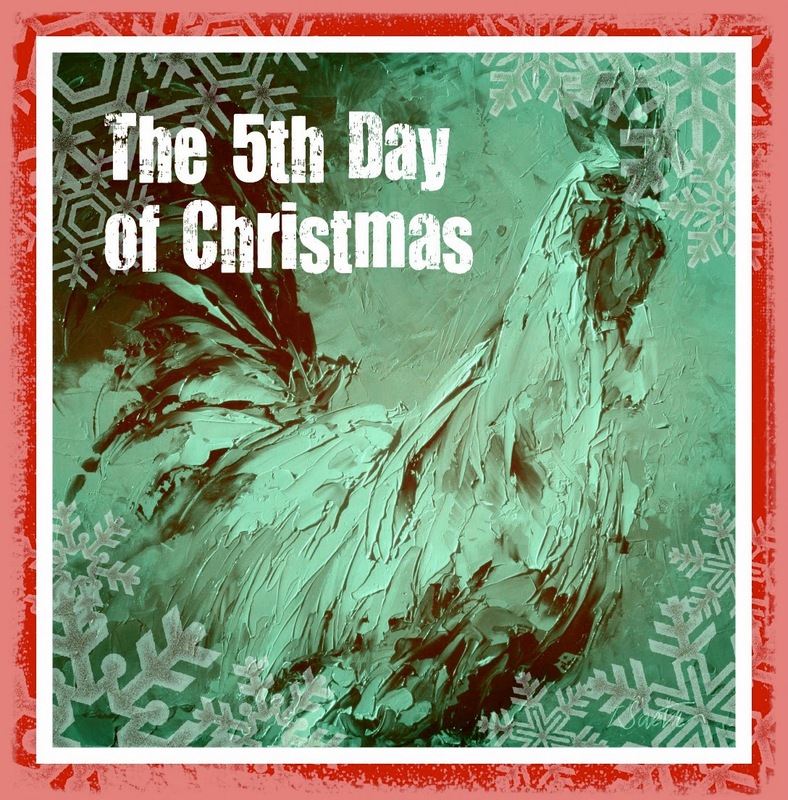 The winner of my calendar for the Day Five Giveaway is Laurie May. Just email me your address and I will send it off to you later this week! To be eligible for this giveaway I would like to get your input about marketing your art. I'd like to know what areas in marketing you would like to know more about. Is it your website, blog or Facebook you would like more information? 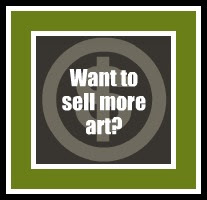 Is it getting in to galleries ... pricing your art ... or building your client list? Give it some thought and post on my blog what you think is the most important marketing need for you, as an artist. I'd really appreciate your input. 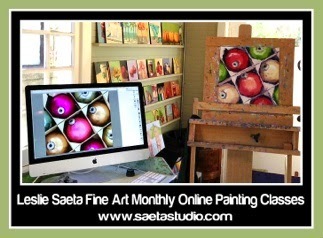 One of you will win the free Monday Online Studio year long class for giving me your input. Thank you! 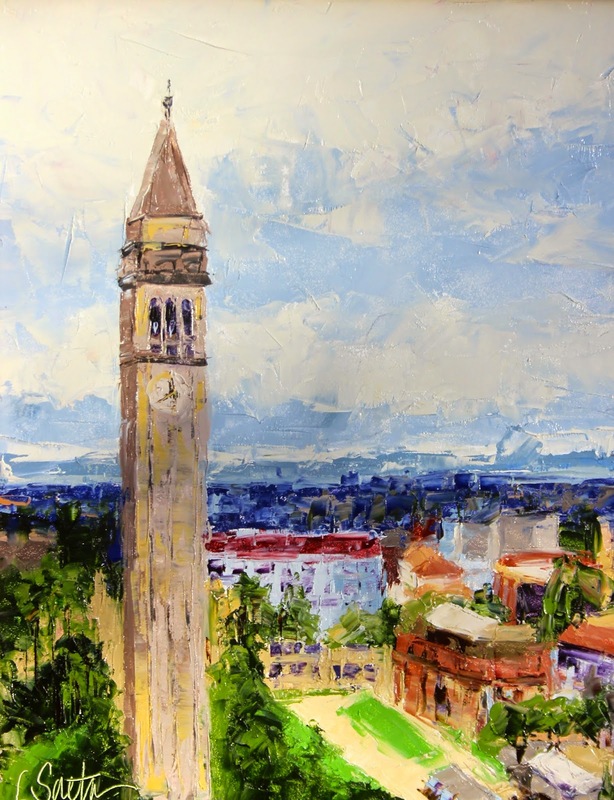 Check out my upcoming palette knife painting workshops. I have space in my workshop this January 14th - 16th in South Pasadena. We will be spending a lot of time talking about your art career and what you can do to have a very successful 2015! 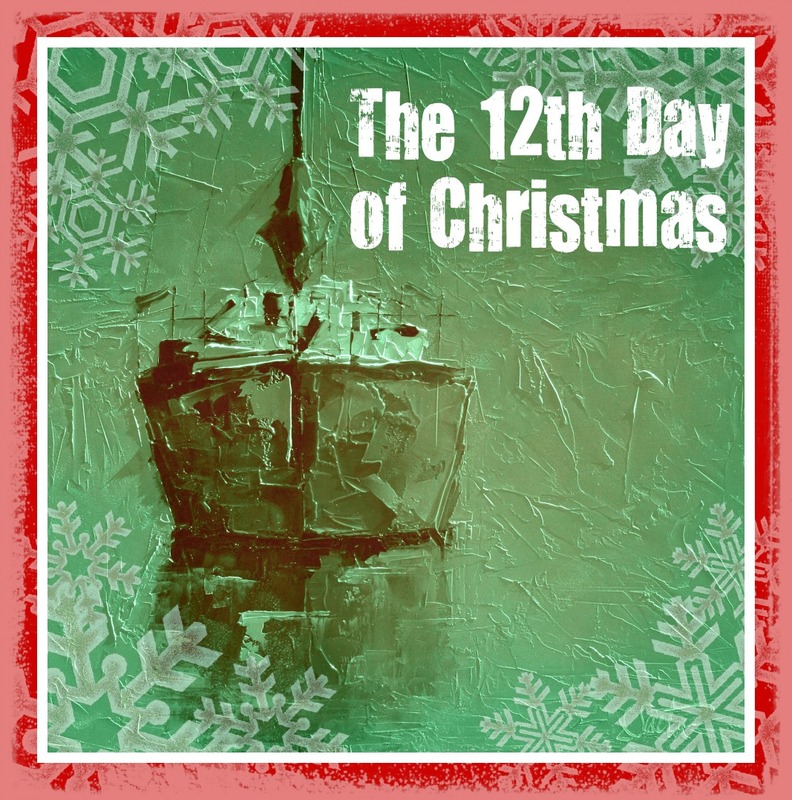 I am thrilled with the response to my 12 Days of Christmas Giveaway. I am so inspired by your paintings from Day 1, your studio tips on Day 2, the artists that inspire you most on Day 3, and your awesome ideas for an AHA show on Day 4. If you have missed any of these be sure and go to my blog posts and check out all of this wonderful information. And, just so you know, all of your studio tips from Day Two will be shared on this week's AHA show! I love the fact that we are sharing resources and I think today's posts will continue to inspire us all! Plus it's always fun to giveaway stuff! 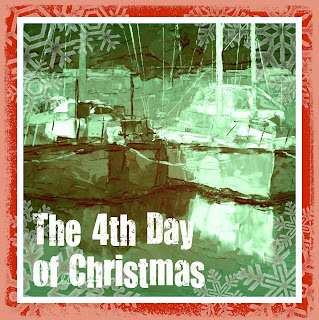 I am excited to announce the winner of the Day Four 12 Days of Christmas Giveaway. Congratulations to Lori Reynolds who was the winner of the Marketing Consultation! Just email me Lori and we will get you all set up. Thanks to everyone for submitting 82 ideas for show topics for the AHA radio show. I am set! 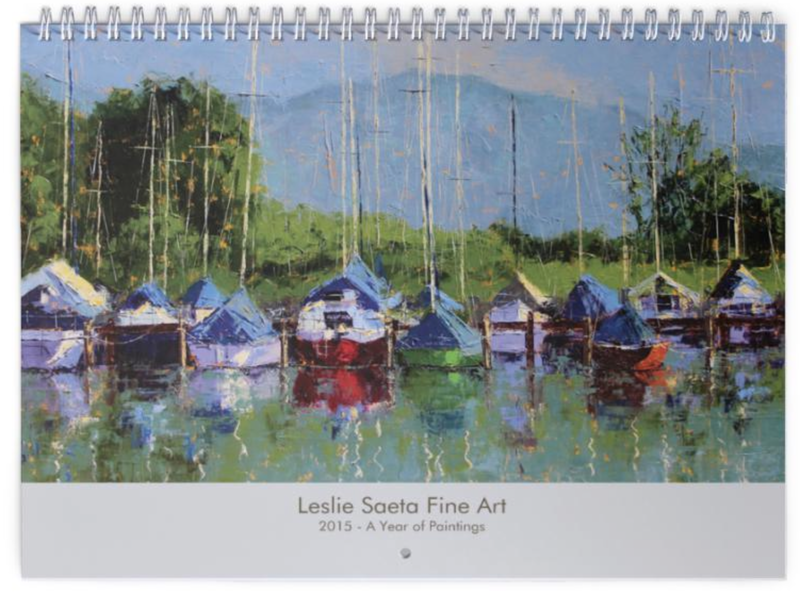 Today's giveaway is another one of my 2014 Calendars. It's a wall calendar and features 12 of my paintings. All you have to do to be eligible for this prize is to share here on my blog (or on my facebook page) what you consider to be your greatest accomplishment this year. Ideally, I am hoping it will be related to your art career, but we will see! 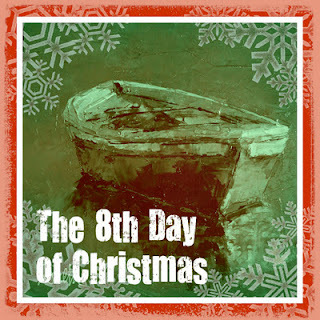 Finally, if you went to the trouble on Day 1 to select a photo of your favorite painting be sure to post these photos on Facebook, your blog and your website. Photos are a great way to tell your followers more about you and your art! Check out my upcoming palette knife painting workshops. I have space in my workshop this January 14th - 16th in South Pasadena. The workshop is all about color and using different color palettes! What a wonderful thing to share during the holidays ... and it's been wonderful reading about all of the artists that inspired so many of you. There are a lot of artists mentioned that I know very well. And I love the fact there are so many others that I do not know. Clicking on the links of all of the artists is like Christmas! I can't wait to spend more time following the links and getting to know many of these new names. Thanks so much for sharing! The winner of the Day Three Giveaway which is one of my Online Painting Classes is Marion Hedger. Email me your contact information and I will get you all signed up for the class! Today's giveaway is a free one hour marketing consultation. (The value is $250!). You can find out more about my consultations here. It's easy to become eligible for the giveaway. 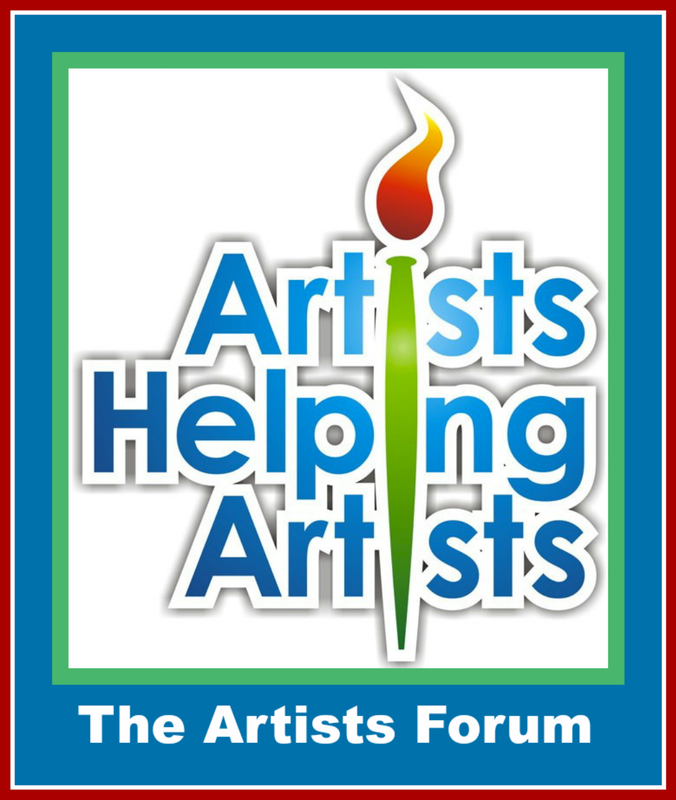 All you have to do is leave a suggestion here on my blog (or on my Facebook pages) of a topic for the Artists Helping Artists radio show! Every month I struggle to come up with topics for the show so your input would be greatly appreciated! I am looking for NEW show ideas. So please try to read the entries ahead of you and not duplicate ideas that have already been submitted. Thanks. I really enjoyed all of your "studio tips". 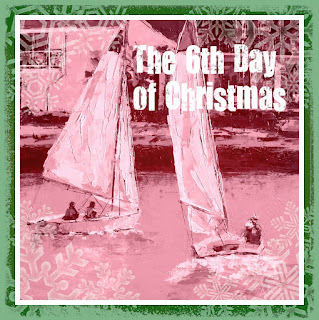 There were over 60 posted on my blog and facebook pages! And just so you know, this week's Artists Helping Artists radio show will feature all of these wonderful studio tips. 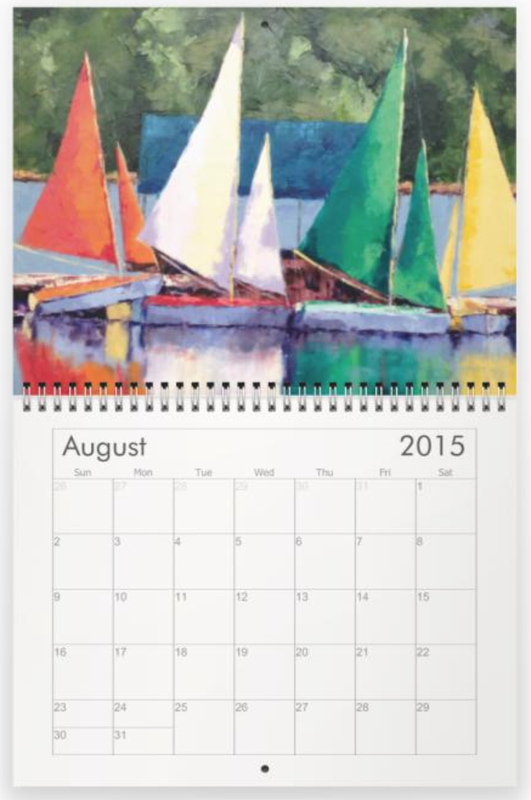 The winner of the Day Two Giveaway 2015 Calendar is Polly Madel. Congrats! Be sure to email me with your mailing address. Today I am pleased to announce that the Day Three free giveaway is one of my on-line painting classes which are called Monday On-line Studio. In fact, the prize will be the January class! The class will be launched on Monday, January 5th and includes 10 - 15 demonstration videos. You also have access to the class for one year so there is no rush to complete the class. To be eligible for the Day Three Giveaway all you need to do is leave a comment here (or on my Facebook pages) telling us about an artist that you admire. 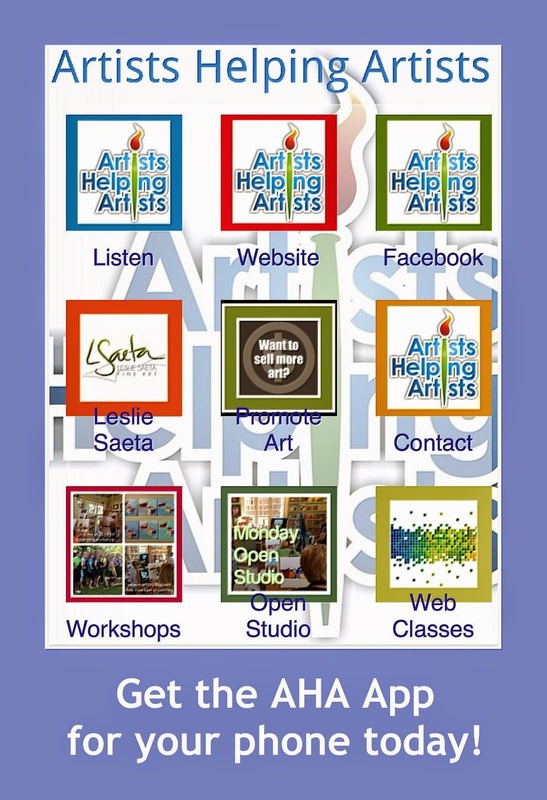 Perhaps you love an artist's art, teaching style or daily blog posts. Just let us know. And be sure to include a link to their website so we can learn more. I am so happy it's day two and I get to give something away! 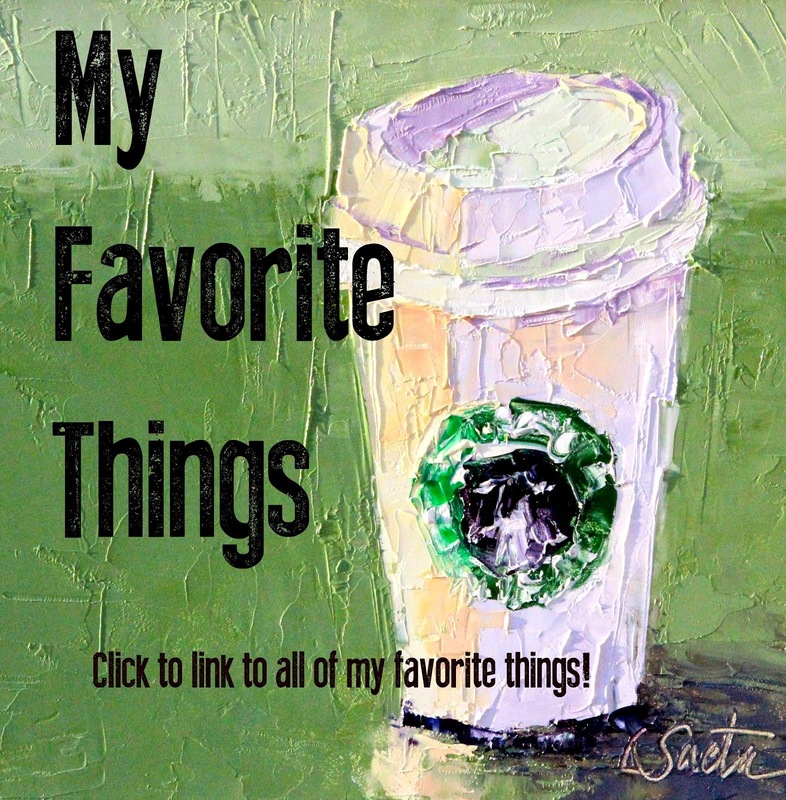 I loved visiting my blog yesterday to see so many BEAUTIFUL paintings posted by all of you! There are so many talented artists out there and thank you for sharing your art! I can't think of a better gift for the holidays than a piece of original art. So think seriously about painting, giving or buying a piece of original art. Of course if you would like to see some beautiful paintings, check out all of the wonderful artwork on yesterday's blog post. There are tons paintings posted and I promise you all of these amazing artists have artwork for sale. I picked yesterday's winner by using www.random.org. It's so simple, as you just type in the number of entries and the website picks the winner. The lucky winner of the custom embroidered Artists Helping Artists apron is Carmella Tuliszewski. Congratulations! 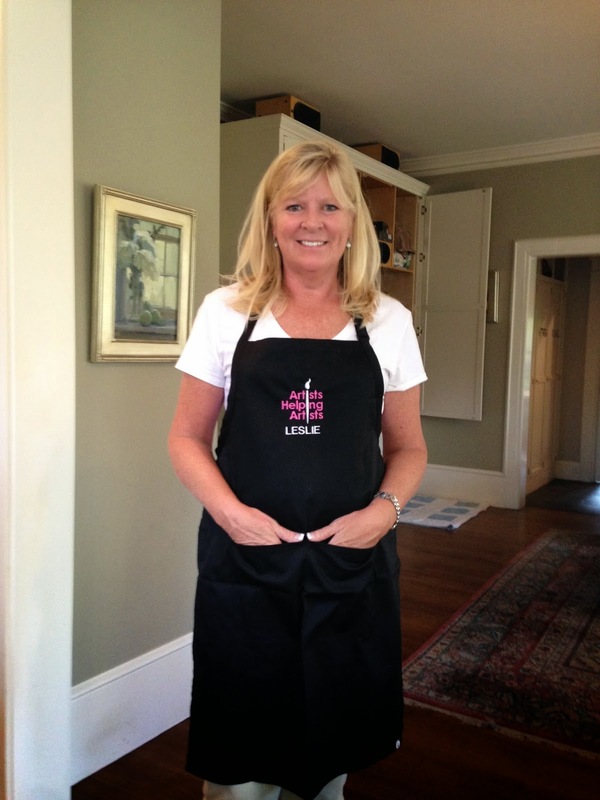 Please email me your choice of a white or black apron, the name for monogramming and your mailing address. 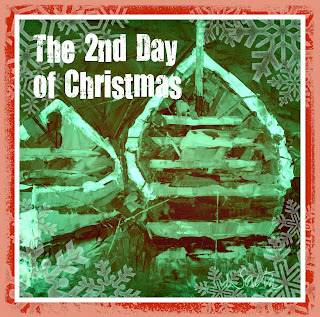 The giveaway for the "2nd Day of Christmas" is one of my 2015 Calendars. To be eligible for this giveaway all you need to do to is post here on my blog (or my facebook page) a great studio tip (or tool) that you think other artists might like to know about. 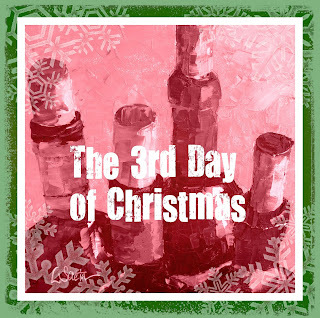 I have a feeling there will be some great ideas here (and potential holiday gift ideas!). Giving gifts during the holidays is one of my favorite things to do. Just ask any of my family members and they will gladly share a long list of the homemade, mostly "nice" gifts that I gave out every Christmas. Over the years there were some duds and quite a few that were given when "still unfinished"! It's time to continue my holiday tradition of gift giving! 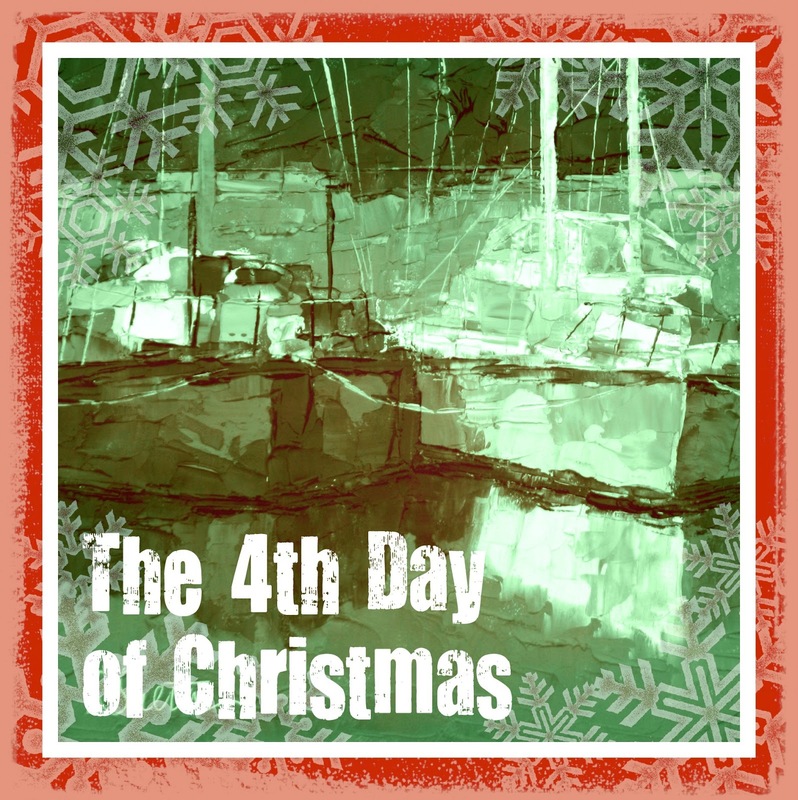 To be eligible for the Day One prize, all you have to do is click below and add a photo of one of YOUR paintings that you consider is your most favorite from 2014! If you are not an artist feel free to upload any painting that you love! Just click the "Add Your Link" Button. You can link to a painting on your website or you can upload a photo. Have fun! This is my chance to say thank you by showing off YOUR ART to my friends! "The Twelve Days of Christmas" is my favorite time of the year. It's my chance to say thank you to all of you for supporting me, my art, the Artists Helping Artists Radio Show and my workshops. It's my chance to give back. 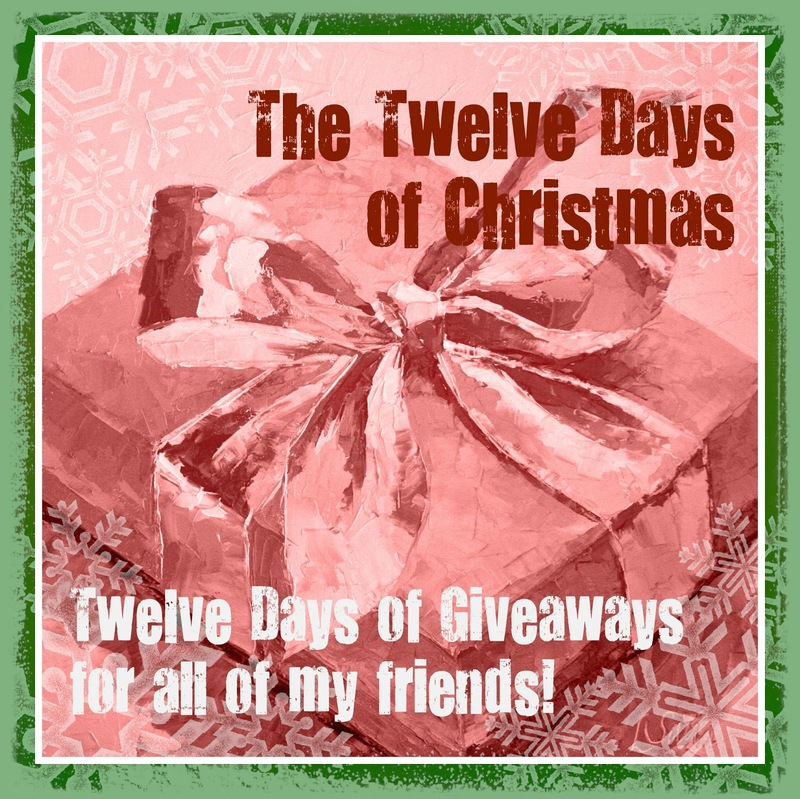 For twelve straight days I will be giving away prizes (which are valued at over $3000.00). There's no catch, it's just free stuff. Everyday for twelve days. And you can enter everyday and win more than once, so don't be shy! I will ask you to complete small task each day to be eligible for the prize. This year you will even have a chance to post on this blog, so stay tuned to see some really great things shared right here by all of my art friends! The contest starts tomorrow, December 13th and continues with the last giveaway on Christmas Eve. Be sure to make sure you are receiving my daily updates on my blog so you don't miss anything. Fill out the box below!